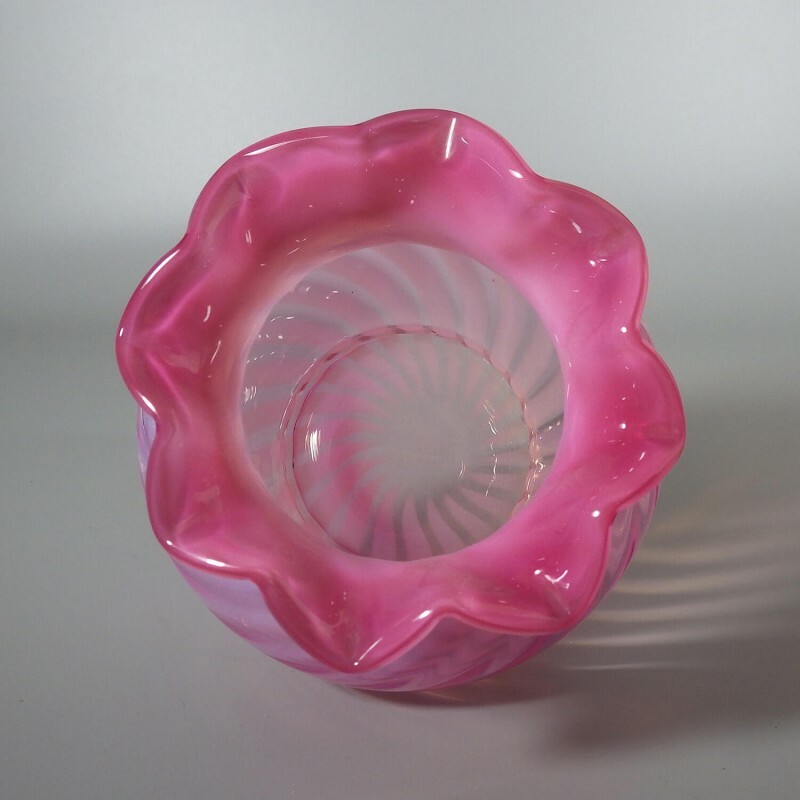 Beautiful Fenton Spiral Optic cupped crimped glass vase in cranberry and a gorgeous example of the #201 shape. 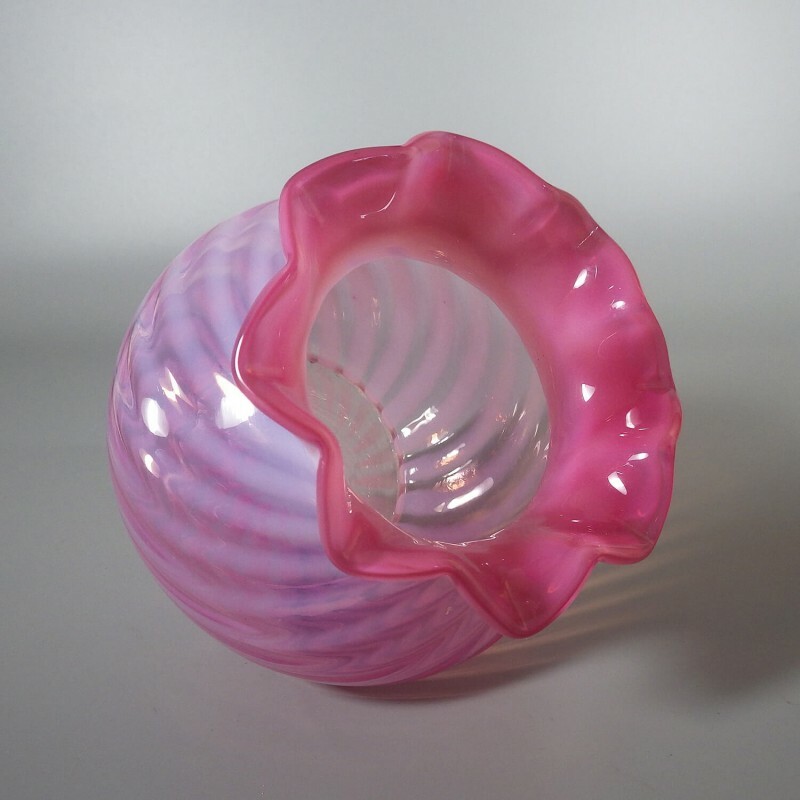 With a yummy Fenton opalescent crimped top, this vase was part of the cranberry spiral optic line that enjoyed a short run, which began in late 1938 and was discontinued by early 1940, at a time long before Fenton marked its wares. 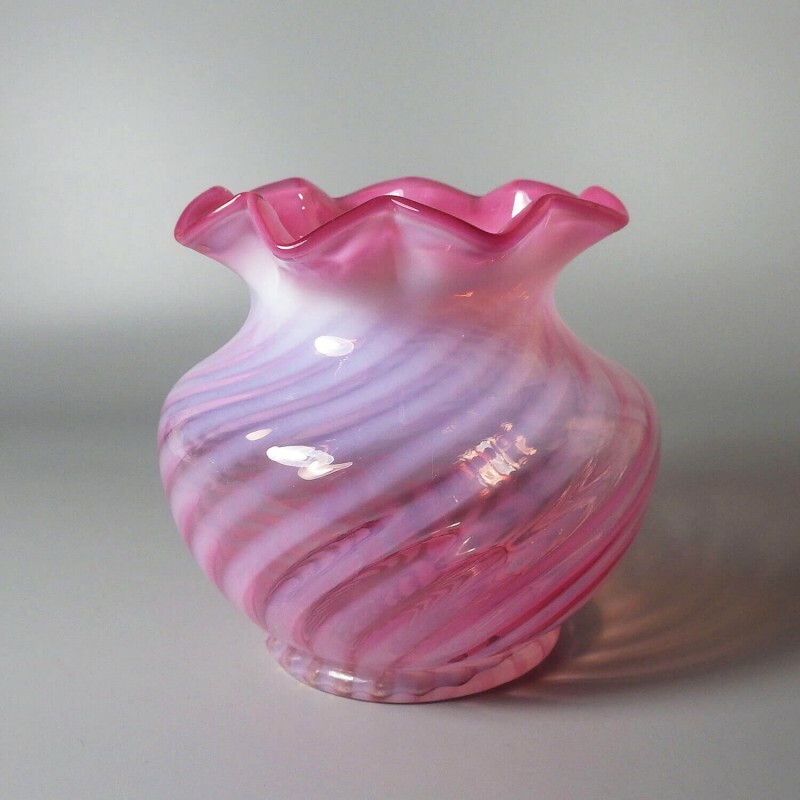 For those who love and collect Fenton cranberry opalescent glass, this is a real collection beauty! Stands approx. 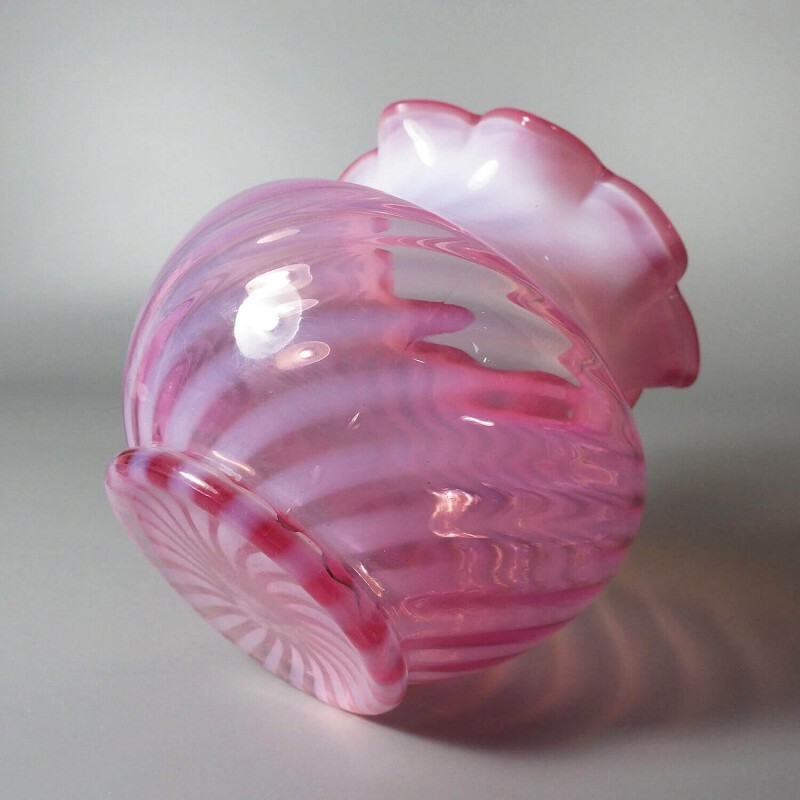 4-3/4 inch high and 5 inch in diameter at the widest point. 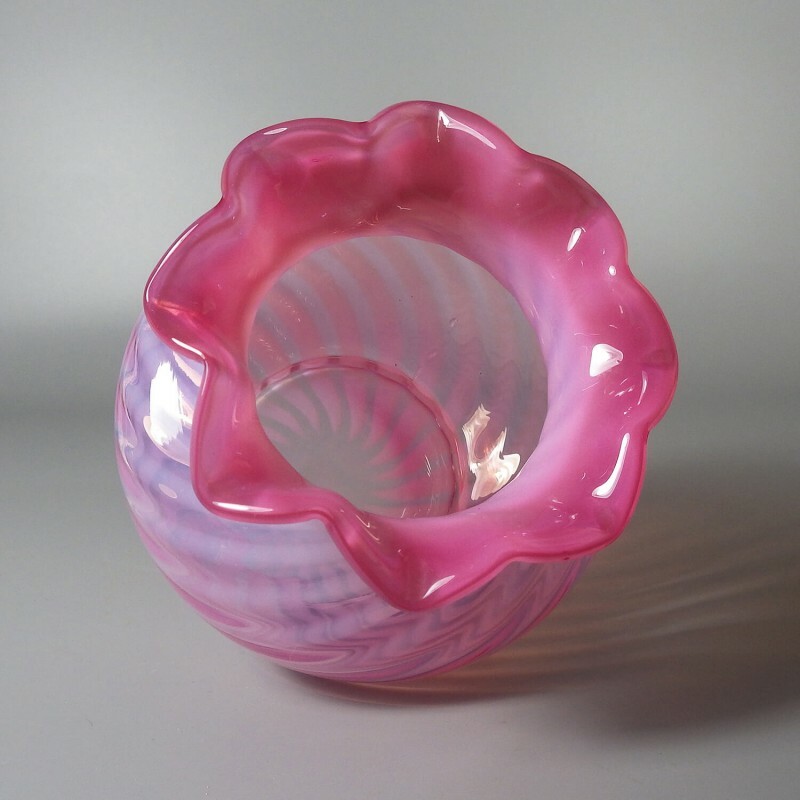 In very good condition, with no nicks, chips, or cracks. 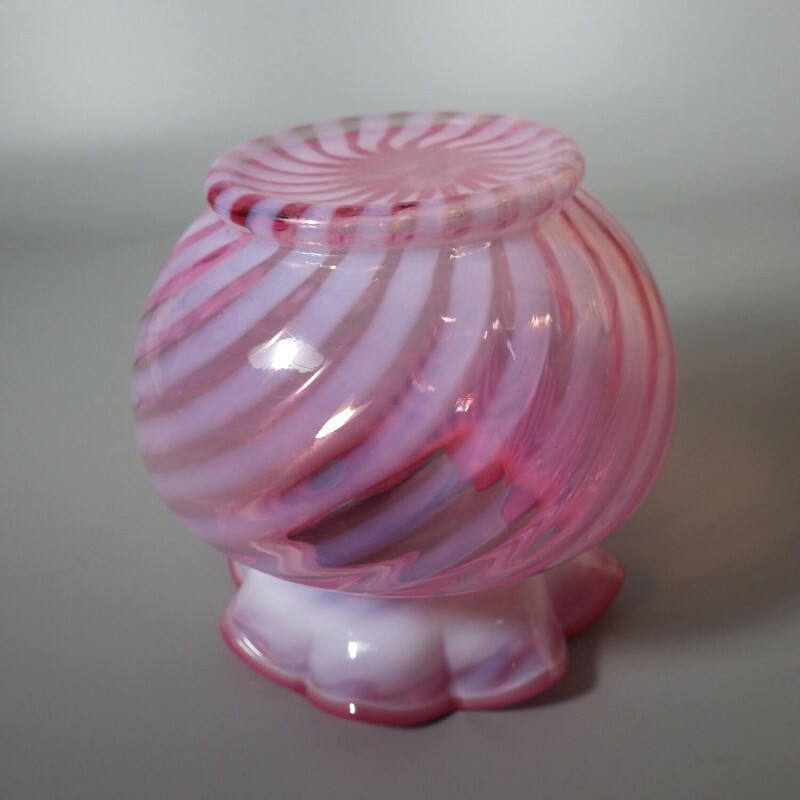 There is one encased bubble, not felt from the outside and difficult to photograph (see next to last photo) and a slightly bulging seam near the base, as shown in the last photo. 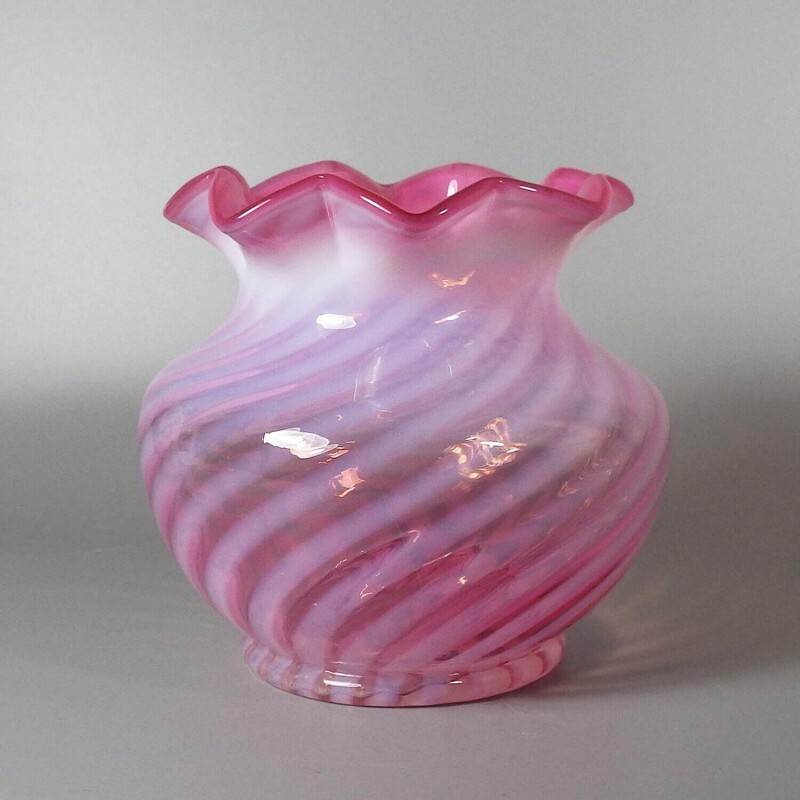 Reference: Big Book of Fenton Glass 1940-1970 (Rev. 4th ed. 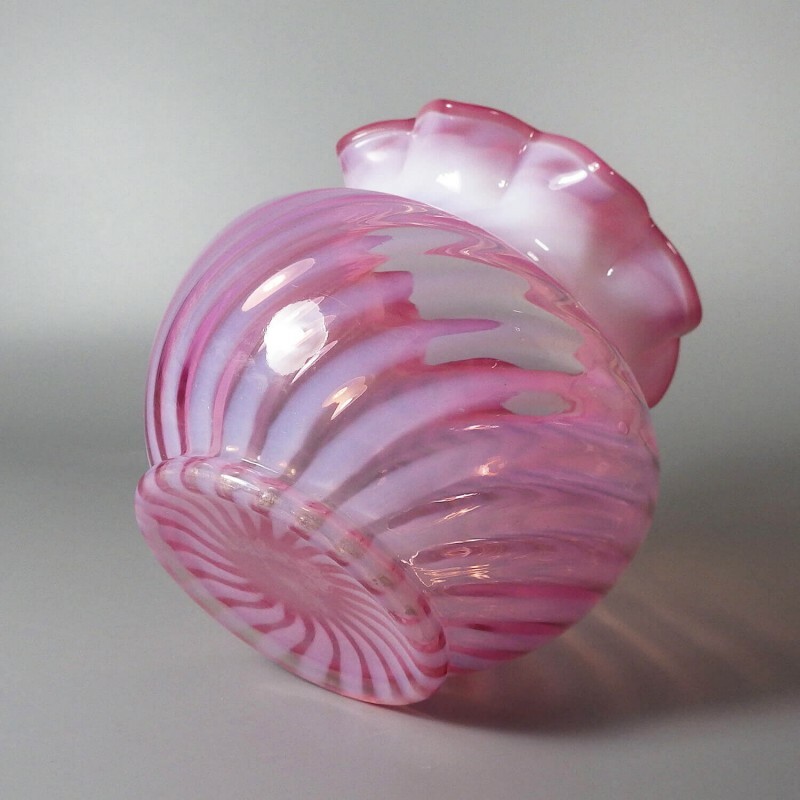 ), p. 138, 142; Fenton Art Glass 1907-1939 (2nd ed. ), p. 328.